St. Patrick’s Day Party @ IHM! 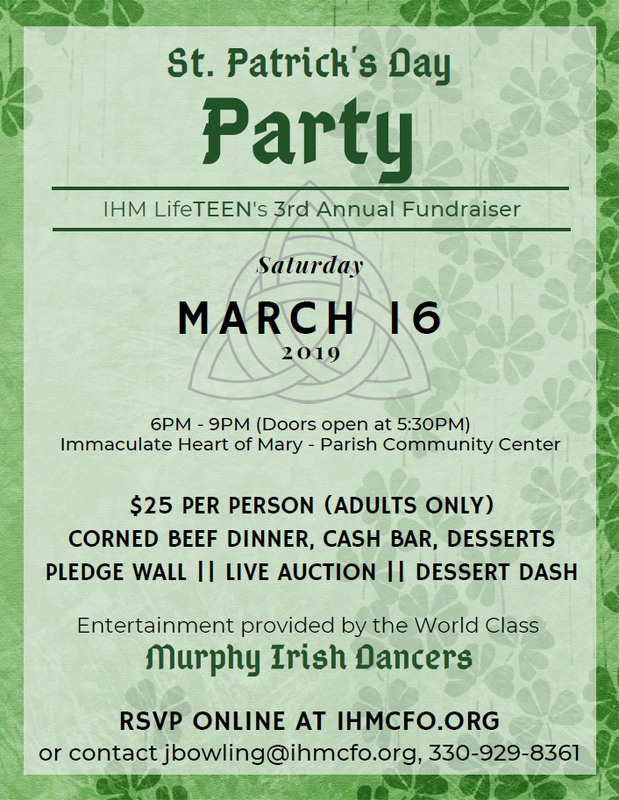 Join us for IHM LifeTEEN’s 3rd Annual Fundraiser! $25.00 per person / / Please RSVP online at https://bit.ly/2sPLu2O and then bring your payment to the Parish Office or put in the collection basket at Mass marking the envelope “St. Patrick’s Day Party”. Register for Event: St. Patrick’s Day Party @ IHM!